Full dome films turn our planetarium into an immersive 360° movie theatre. Films typically run for 30 minutes or less and are available in a variety of languages. Contact us for a complete library of full dome films currently available. A photon’s journey across space, time, and the mind. Planetarium show based on a PBS documentary “Sight–The Story of Vision” weaving a tale of the journey of humanity that discovered the science, technology and medicine that allows us to understand how sight works, cure diseases of the eye and correct vision. 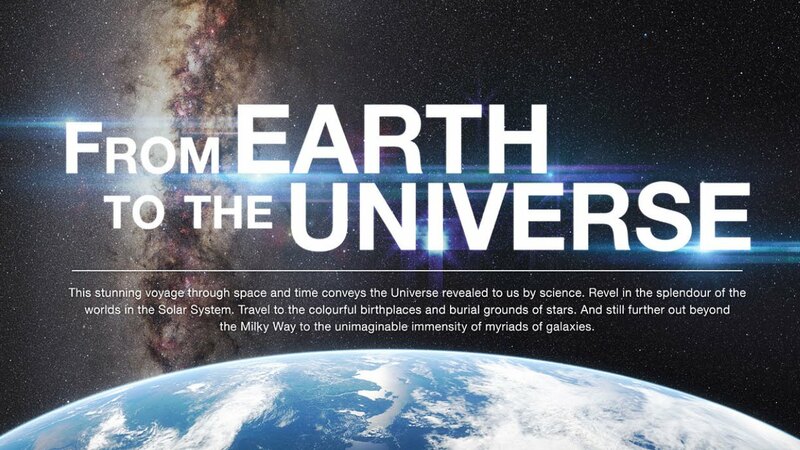 From the journey of protons racing through the world’s largest particle collider in Europe to up-close views of the Big Bang and emergent cosmos, Phantom of the Universe is a fulldome planetarium show designed to immerse audiences in the search for dark matter. What keeps Galaxies together? What are the building blocks of the Universe? What makes the Universe look the way it looks today? Researchers all around the world try to answer these questions. We know today that approximately a quarter of the Universe is filled with a mysterious glue: Dark Matter. We know that it is out there. But we have no idea what it is made out of. Every second the Sun emits million times more energy than the world consumes every year. Where does such a huge amount of power come from? Experience the true nature of the Sun and find out that it is far from being as calm as it seems at first glance. A journey of celestial discovery, from the theories of the ancient Greek astronomers to today’s grandest telescopes.